Since my late teens I had a mild addiction to tobacco which I managed to hold at bay for eighteen years. I'd go for periods without smoking and generally didn't smoke more than one or two per day, but when alcohol was involved, or if I was with a friend who smoked, I'd often find myself smoking way more than I liked to. What is it that's so appealing about smoking? I mean it's not a very nice idea is it: pulling hot, drying smoke into our tender pink lungs! So how does it attach itself to us, or perhaps more accurately, why and how do we attach ourselves to it? I think part of it is that having a little of something we enjoy at regular intervals provides a pleasant, predictable rhythm to our lives that lulls us into a sense of security, makes us feel some level of control over a chaotic universe. And of course there's the sheer pleasantness of the sensations that the substance catalyses in our bodies. Coffee, alcohol, cigarettes, as well as sugars and simple carbohydrates, all give us a rush of brain chemicals, including dopamine, which are highly stimulating. And addictive! Wow! Letting go of addiction... where was I to start? My instinct was to break the association between alcohol, which I occasionally enjoy, and cigarettes which I no longer wished to partake in. So I think part of the answer for me was to let go of alcohol at the same time. The other factor with addiction is that the people we are with strongly influence our addictive behaviour, and we theirs. It's not always possible or wise to break associations with everyone in our lives who makes it harder for us to let go of our addictions, but we can be very honest with them and ask them to help us by not offering these substances or partaking of them when we are together. However if you're in an environment where smoking or drinking is a big part of the culture you will probably find letting go of addiction quite challenging! In this case perhaps you need to seriously consider whether the culture you are participating in is life affirming or self-destructive. The most important factor for me in letting go of my addiction to smoking was becoming very conscious of my motivations for smoking. Every time I felt a craving to smoke a cigarette I'd ask myself why I wanted it. Was it because I felt bored or socially anxious? Was I actually hungry or thirsty? I then thought about how that cigarette would actually make me feel, both during and after I smoked it. I also considered the many powerful things that repel me about tobacco, such as it's impact on my health, communities and the environment. Sometimes after this I did smoke the cigarette, but more and more often I got up, walked to the sink and drank a glass of water instead. This new ritual temporarily replaced the one I'd been using as a security blanket! While drinking the water I'd affirm, "this water cleanses me of my attachment to tobacco. 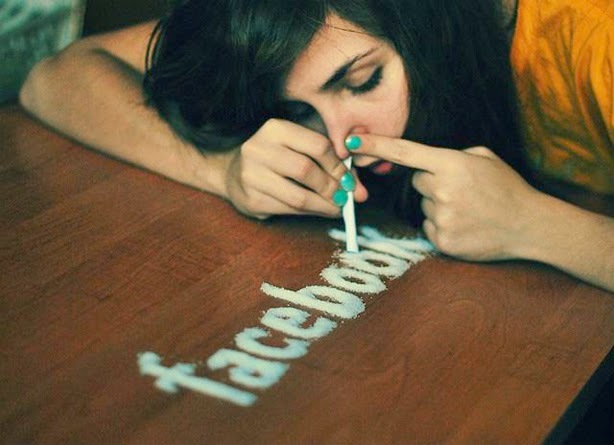 I now let go of my addiction." Great post. I completely understand/relate. I will try the glass of water idea. Sometimes I do deep breathing and that helps a lot. Exercise is good, too. I wish it wasn't weird to start doing yoga at the bar whenever I want a cigarette, lol!